Seek First Video: Host A Seek First Watch Party! 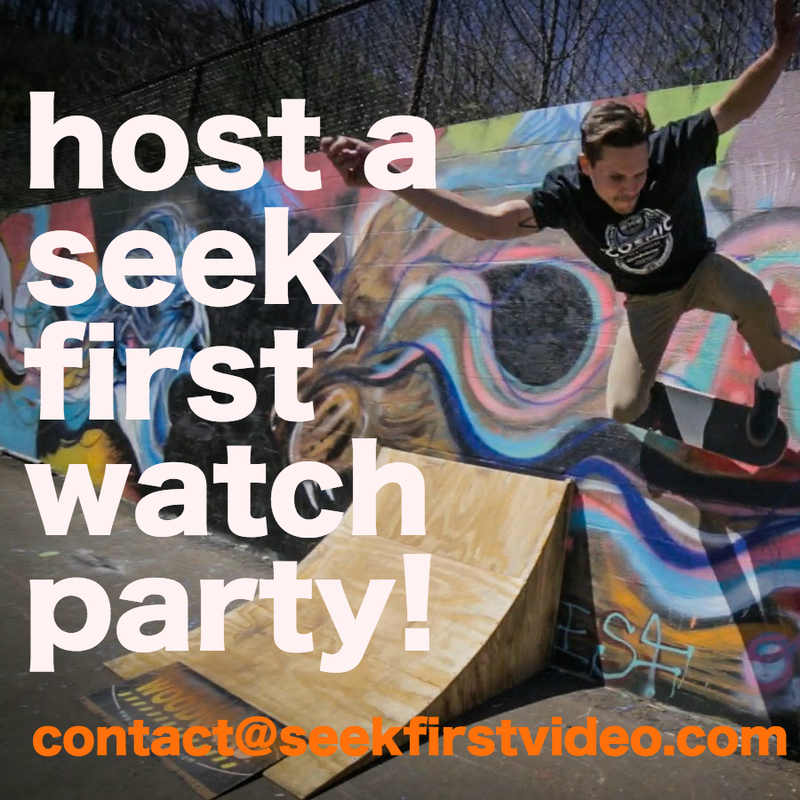 Beginning this July, the guys from Seek First will be available to come to your home, skatepark, or church to host a Seek First Watch Party! It is our hope that by showing the video and also giving folks an opportunity to ask the skaters questions about their faith journeys shared in the film we will be able to maximize the impact of "Seek First!" In addition, the guys would love to skate with with you and your friends before or after the film! Are you interested in hosting a viewing? If, please contact us at contact@seekfirstvideo.com now and we can work on a date for your Seek First Watch Party!